It is the real magic in life, the moments of unexpected but fortunate discovery. It occurs subtly, as in a seemingly haphazard acquaintance, and explicitly, like a falling apple to the head. It has been evolutionary, the trigger of humanity’s greatest achievements, and personal altering the course of an individual life. It is the affirmation of optimism, revealed to those with an open mind and an adventurous heart. 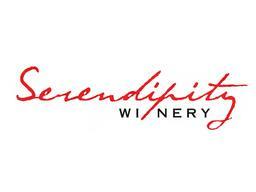 It is Serendipity. It is the premise of our winery and the essence of our winemaking. We hope to share it with you.